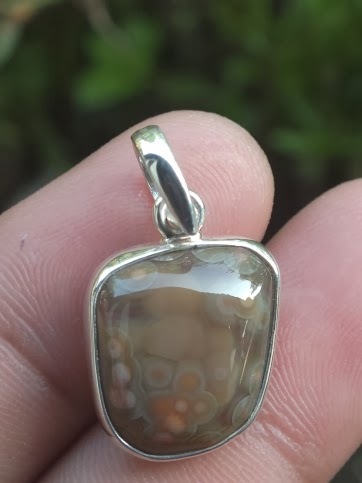 This is a very beautiful Natural Agate set on a silver pendant. 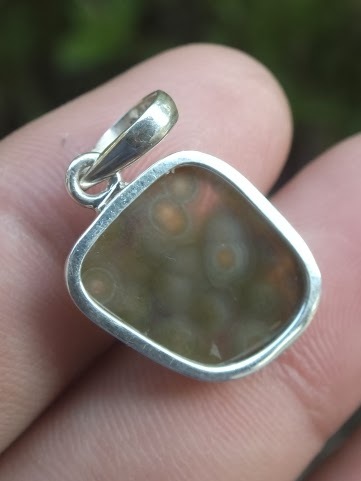 The agate has very nice circle patterns/motif. 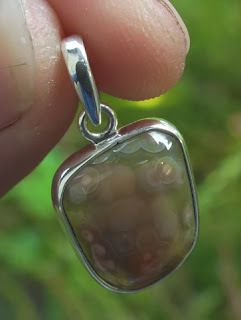 The size of the gems is (est) 17mm x 15mm x 5mm. 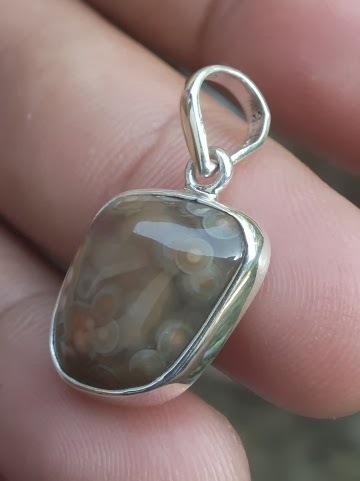 Get this beautiful Silver Pendant now! 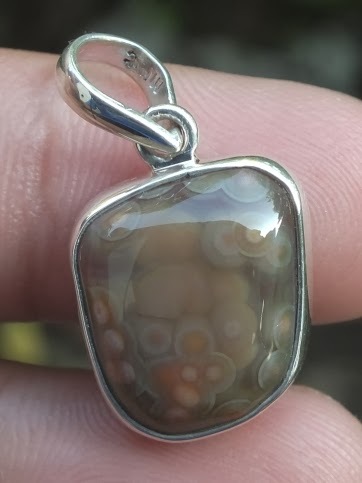 Natural Agate!